It’s an unfortunate statistic that everyone knows – more than 50% of marriages will end in divorce. But it’s also a statistic that has lost its impact. So, let’s try another tact. Further, data from the Bowling Green’s National Center for Family & Marriage Research shows that the divorce rate for 55- to 64-year-olds more than doubled from 1990 to 2012 while divorces for the over-65 group tripled. 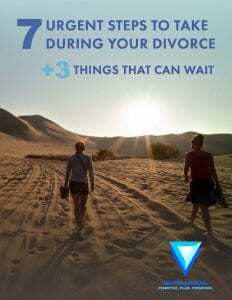 Now, while every divorce is unique in its own way, the reality is that there is usually one common theme in all divorces – it destroys retirement. And while every divorced person feels the financial impact, baby boomers suffer more – and the impact among women baby boomers is among the worse. According to a study from economists Claudia Olivetti of Boston College and Dana Rotz of Mathematica Policy Research, the later in life a woman divorces, the more likely she will be working full time late in life. Analyzing data from over 50,000 women, the researchers found that women who divorced in their 50s were more than 10 percentage points more likely to be working full time from ages 50 to 74 – compared to women who divorced before age 30. 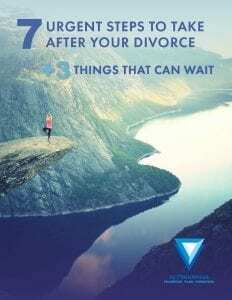 And the immediate financial impact of divorce goes beyond legal fees. While the best of scenarios might see a 50/50 split of assets, the pie is always smaller than both parties realize. And once assets are divided, say in half, then the expenses double – two homes to manage or rents to cover, two utility bills to pay, two car payments to make, etc. Why is it worse for women, generally speaking? Well for many women – especially those with children – I often see them trade away retirement assets to hold onto the family home. And sadly, this means they need to start saving for retirement all over again – without the benefit of time. Let’s say you want to save $1 million dollars by age 67. It is certainly doable, but a lot depends on when you start. Start at age 37, and you’re putting away $546 a month to reach your goal. Begin at age 47, and you’d have to put away $1,497 a month. Wait until age 57, and you’re putting away a hefty $5,168 a month. Wait age 62 and you’d have to stash $13,258 a month to reach $1 million by age 67. Sadly, divorced people are much more likely to be poor in their 60s and beyond. Research from the National Center for Family & Marriage Research shows the poverty rate is very low for married folks over age 62 who never divorced. In fact, only 3.4% of this group are considered poor. Meanwhile, 16% of single people divorced before age 50 are considered poor, and 19% of single people divorced after 50 are considered poor. That’s 1 in 5! 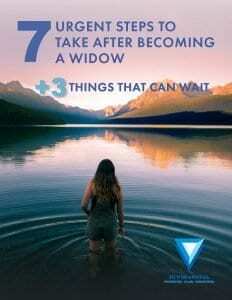 The poverty rate for single women divorced after age 50 is a whopping 27%! Find A Good Lawyer. Ask people that you know, do your Google research and interview lawyers. It’s a tedious task, but an important one that is often overlooked. I am skeptical of flat-fee relationships, because often times they don’t work, especially in fairly complicated divorces. And remember, your lawyer is not your therapist; they are your legal advocate. Watch Your Cash Flow. You should pay careful attention to the type of assets you receive in a divorce settlement, because many of the “assets” are illiquid and can be difficult to quickly turn into cash. So while the spreadsheet might show an equal split, you need to consider whether your half suits your needs, especially with respect to current cash flow. Consider Taxes. Consider the effect of redeeming retirement accounts in a divorce settlement. And know that the $50,000 in a brokerage account might be “worth” more than $50,000 in a tax-deferred retirement account. This is because you’ll pay tax on capital gains and dividends from the brokerage account whereas you have to pay income tax (and maybe penalties) on withdrawals from a tax-deferred retirement account. Then there are tax implications for spousal support (alimony). Payment of spousal support is tax deductible whereas receipt of spousal support is taxed as ordinary income. As your financial advisor and your friend, I wish you peaceful moments and stand ready to help you in any way I can.